Dr. Jie Shen specializes in treating gynecologic cancers thoracic malignant tumor and benign disease. He believes that knowledge is power, so he strives to help his patients understand the biology of their disease and all of their treatment options. Much of his practice focuses on serving patients seeking second opinions and helping them make the best treatment decisions. After earning a bachelor's degree in clinic medicine from the West China University of Medical Sciences, Shen completed a Master of Medical degree and Medical Doctor degree in oncology at the Peking Union Medical College. He completed a residency in Internal Medicine and Radiation Oncology at Peking Union Medical College Hospital and a fellowship in radiation oncology at Peking Union Medical College Hospital. 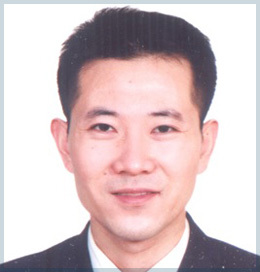 Now he is an associate professor in Radiation oncology at Peking Union Medical College Hospital. Previously, Dr. Shen was a physician-scientist studying the impact of recurrence in cervical cancer and small cell lung cancer, especially in DNA damage and methylation in cancer development. He joined Beijing Radiation Oncology Association as a Youth Committee in 2014 to advance the development of new cancer therapies for gynecologic and thoracic tumor.